How do Portlanders lose 25 pounds? Turns out, there’s an app for that. I’m a 37-year-old guy who’s worked out at least six days a week ever since I was 28 years old. I take vitamins supplements every day, go to my doctor for physicals, I don’t smoke – I thought I was healthy. At the beginning of 2014, I weighed 205 pounds. I’m 5’ 9”. I know that 205 is a bit heavy, but men in my family tend to have bigger builds than the average guys our height, so even my doctor felt it was fine. However, at my last physical in November, my doctor told me he was concerned I could have metabolic syndrome (pre-diabetes) due to three characteristics: high cholesterol (which runs in my family), high triglycerides (which run in my family) and being overweight. Even my doctor didn’t know what else I could do – I don’t eat incredibly bad (though not spectacularly good) and I work out almost every day. He suggested I increase my workout intensity in hopes that it might do something. I left my doctor’s office feeling pretty dejected – what else could I possibly do? Well, it’s June now and I’ve lost nearly 30 pounds (I just clocked in at 177 pounds this morning). I didn’t stop eating my favorite foods, I didn’t stop drinking alcohol or beer, and I didn’t increase my workouts. I used MyFitnessPal (there are other comparable apps and websites, too) to track my calories. I had been aware of MyFitnessPal for quite awhile. In fact, I even tried it quite some time ago, but I just didn’t think very much of it – until my wife started using a similar app. For some reason, I started to take notice when she was entering in her food (namely, I thought it would be annoying to have to do that). However, I decided to challenge myself and give the app a try, and it turns out that it’s not annoying at all. In fact, shockingly, it is kind of fun to track what I eat. 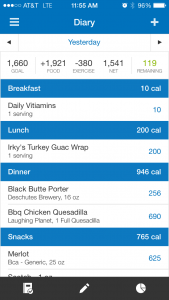 Using a very intuitive interface, MyFitnessPal lets you track all of your food and exercise. It starts off by asking some very basic questions – gender, weight, height and your weight loss goals (including gain or maintenance if you’re happy with your weight). Then, it gives you your daily intake of calories (before exercising). For me, I get 1,660 calories a day before workouts which targets me to lose 1 pound a week. MFP also gives me a complete breakdown of nutrition for each day including a nice pie chart showing your carbohydrate, fat and protein intake. In addition, a more detailed chart shows vitamin and mineral intake on a daily or weekly basis. Do you know what 3 ounces of cold cuts looks like? Also, do you know what 3 ounces of Hillshire Farms sliced turkey looks like? Yeah, me neither (turns out it’s a little more than 3 slices). So, I bought a Weighmax 11-lb. Food Scale. 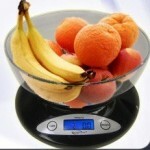 The $17 scale is battery-operated, very easy-to-use and comes with a removable bowl so you can also weigh powders and liquids. There’s less than a $3 difference between the 5-lb. and 11-lb. version (and both weigh quantities as small as 0.1 ounces), so I went with the heavier-capable one. The biggest changes I’ve seen after using the app for the last few months have involved making some unbelievable discoveries about myself (and about food). Discovery #1: Weight loss is math. Very, very basic math. There’s no big secret to weight loss. There’s no magic herb or magic pill that will make weight loss easier. Losing weight is one of the simplest math problems ever: subtraction. If you eat more calories than you use, you’ll gain weight. If you use more calories than you eat, you’ll lose weight. Simple, right? So, why is it so hard for so many people to lose weight, then? Easy. They don’t know the calorie count for the food they eat every day. MyFitnessPal changes that by making it easy for me to see exactly what I’m eating. At the end of the day, it’s still up to my self-discipline to stop myself from eating that donut or drinking that extra beer, but MFP takes the mystery out of my weight gain or weight loss – I am making my own decision to eat too much or too little. Discovery #2: Stop drinking soda, including diet soda. I had switched to diet soda years ago to avoid the sugar in regular soda, but with all the new news stories about aspartame and artificial sweeteners (including some studies that link drinking diet soda to an increase in cravings for sweet foods), I decided it was time for them to go – at least regularly (I still drink a Diet Coke once or twice a week, but I used to drink 2-3 cans a day). But, with no soda, what would I drink? I have to be honest – I don’t like regular water. I’m not a fish. Yuck. So, I picked up lemon/lime seltzer water from my grocery store – inexpensive ($2.50 for a 12-pack of cans) and nothing but some citric acid and sodium. I felt like she must be a telepath. How the heck did she know I had to be substituting it with something? When I told her I was drinking lemon/lime seltzer, she explained that the citric acid content in the seltzer was as much as or more than the acid content in diet soda. I would often drink a lemon/lime seltzer after I brushed my teeth before I went to bed! The thought of the acid just sitting on my teeth all night made me queasy, but it definitely explained the tooth sensitivity. Now, I make sure I don’t drink lemon/lime seltzer after brushing my teeth and I rinse my mouth out with regular water after drinking one. I’ve also started drinking unflavored seltzer water which isn’t terrible – I like the fizzy. Discovery #3: My shot glasses were 2 ounces, not 1 ounce. 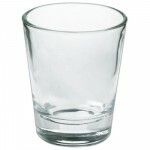 This is a TWO-OUNCE shot glass, not one ounce! I know. How stupid am I, right? When I was drinking a “double” of my favorite scotch, I was actually drinking a quadruple! In other words, I was consuming 280 calories of scotch when I thought I was drinking 140! Before you call me an idiot, you should go downstairs and pour some water into one of your shot glasses and then pour the water out into a measuring cup. I bet you have 2-ounce shot glasses, too. In fact, I don’t even know what a one-ounce shot glass looks like! How did I find out? Well, my wife asked me to pour her a 6-ounce glass of wine. I thought I would do so by pouring in six shot glasses’ worth. When I was on my fourth shot glass, she looked at me and said, “That is so much more than six ounces” which motivated the little experiment I conducted above with shot glasses, water and a measuring cup – proving that, no surprise, my wife was right and I was wrong. Discovery #4: Some of my favorite foods have insane calorie counts. The most eye-opening (and some might say, depressing) thing that MFP will do for you is show you how many calories are in some of your favorite foods that you might just take for granted. Discovery #5: Parties and get-togethers are hard on calorie counters. Very hard. Since using the app, I’ve been to several parties and get-togethers, and, let me tell you, trying to count calories on a bunch of appetizers or a buffet of different dishes is virtually impossible. There are a couple of different approaches I take – I’ll eat before I go so I’m not tempted to eat appetizers; I’ll eat there and try to track what I eat; or I’ll give up and worry about it tomorrow – which sounds counter-intuitive, I know, but it takes me to discovery #6. Discovery #6: Forgive yourself for screwing up. So, did using the app make me stop eating my favorite foods and turn me into a vegetarian hippy? Nope, not at all. The app just makes me more aware: if I have a big lunch out at Buffalo Wild Wings with a friend, I better be careful about what I eat for dinner. Instead of having three beers when I go out with friends, I’ll have two (or even one) and then switch to water. Or, if I’m planning for a big night out, I’ll eat a light breakfast and lunch or work out a little longer to give me the extra calories for my nighttime meal. Tracking my calories has helped me make healthier choices, and in doing so, it has helped me lose more than 25 pounds. If it can work for me, then it can work for anyone. Plus, it’s free, so what do you have to lose (besides weight)? 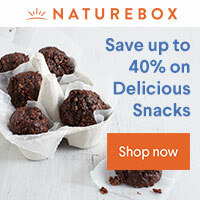 Sign up and download MyFitnessPal by clicking here. Buy your own WeighMax 11-lb. Food Scale by clicking here.